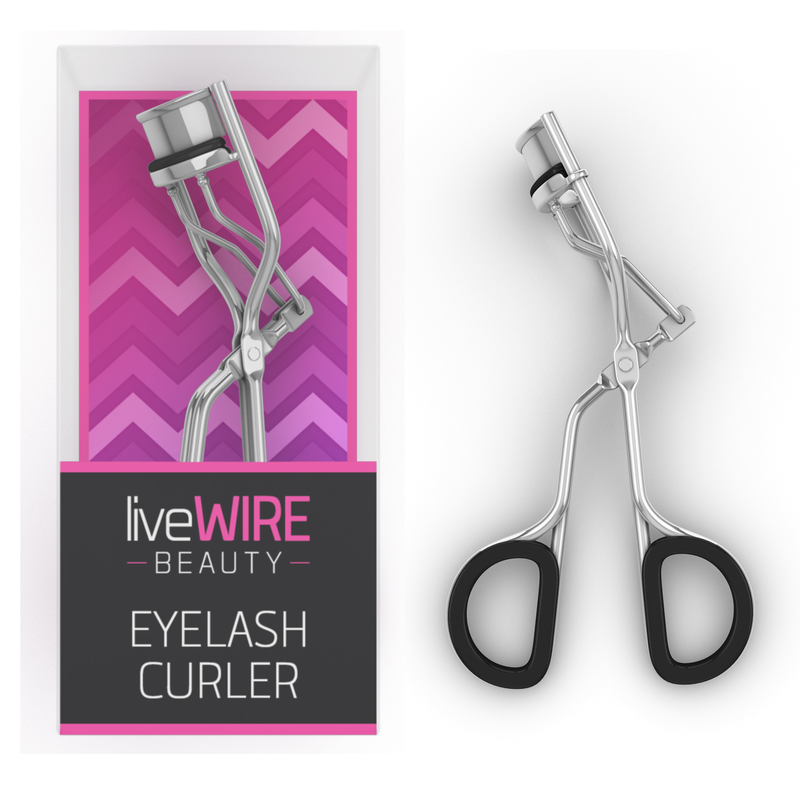 I had the opportunity to try out the LiveWire Beauty eyelash curler this weekend. It works great! It’s made of really great materials so it is sturdy and easy to handle and use. The handle has black foam on the inside so it is easy on your fingers. It worked great on my lashes, no pulling or pinching. They looked great after curling! I had no problems with it and feel like the design gives it a little extra compared to other eyelash curlers. It also lasted all day! So no need to recurl! – Never requires refill pads! The eyelash curler that will last your entire life. – Easy to use, ergonomic design engineered to give you the perfect curl every time. You can purchase it Amazon!